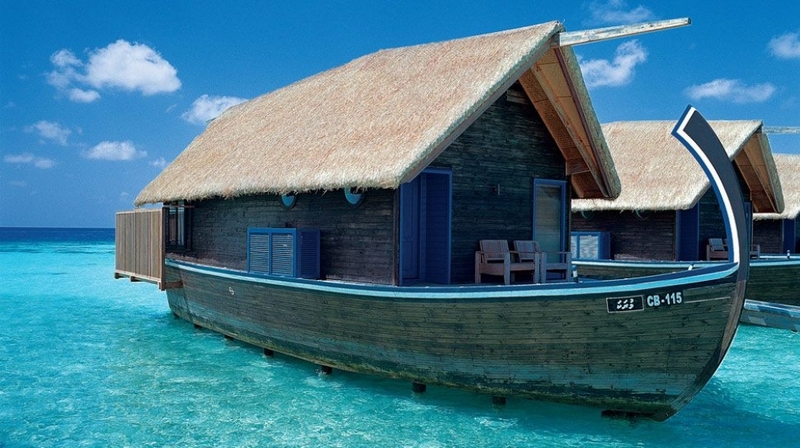 The Keralan style boathouses and individual over-water villas have crisp white interiors and wooden flooring to create an air of relaxing laid-back romance. 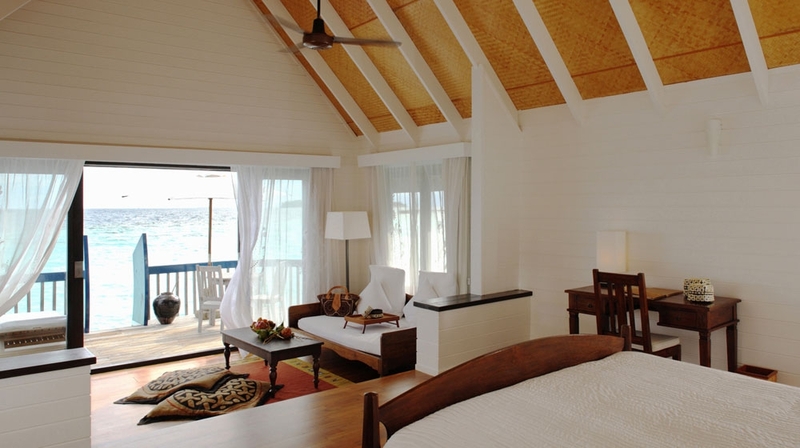 Wake up to a clear horizon from your over-water bungalow and take a dip in the calm, cerulean waters . 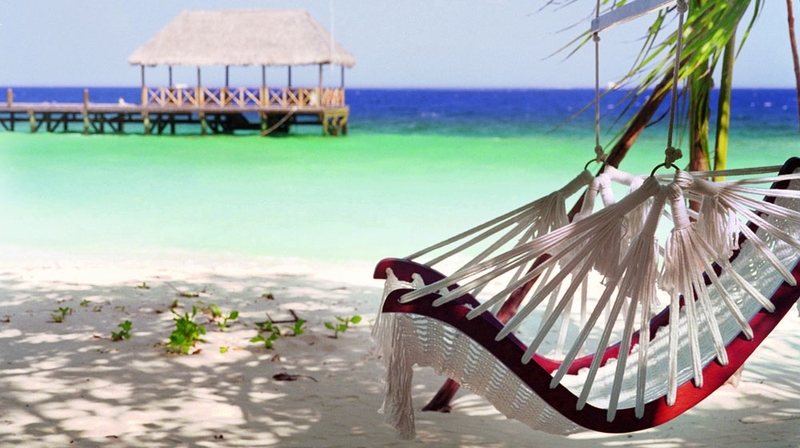 Cocoa Island offers indulgent therapies, yoga, diving, gourmet cuisine and exciting excursions. 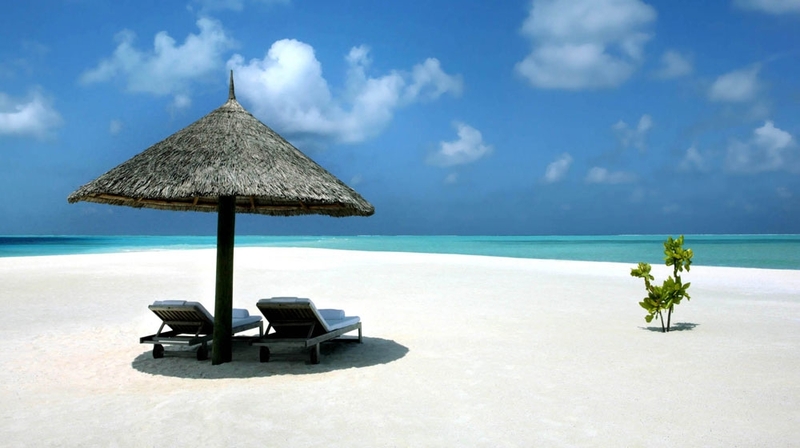 Cocoa Island is only for true romantics, it'll be love at first sight! This rate must be booked 60 days in advance. This rate must be booked 30 days in advance. 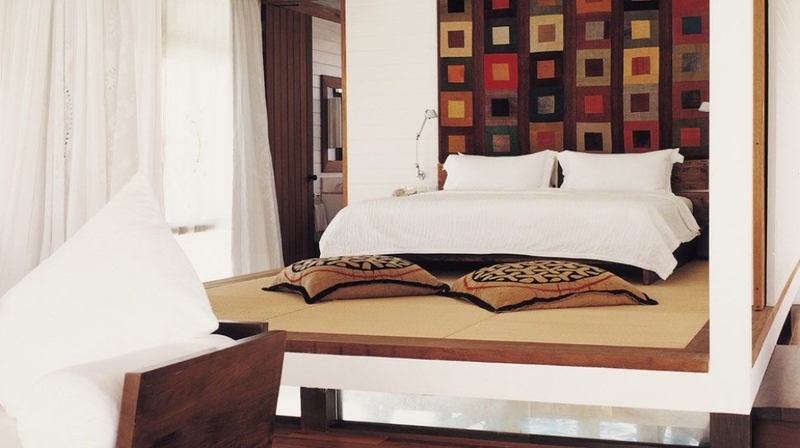 Dhoni Suite: These split level bedrooms have king sized or twin beds. The spacious living area leads onto a private sundeck with two chaise lounges, a dining table and direct access to the lagoon. Dhoni Loft Suite: Expansive living areas with vaulted ceilings are surrounded by full length glass windows on three sides. A staircase leads to the loft, fitted with a king sized bed and en-suite WC. A larger bathroom on the lower level contains a double vanity unit, separate bathtub, shower and WC. From the sundeck there is direct access to the lagoon. 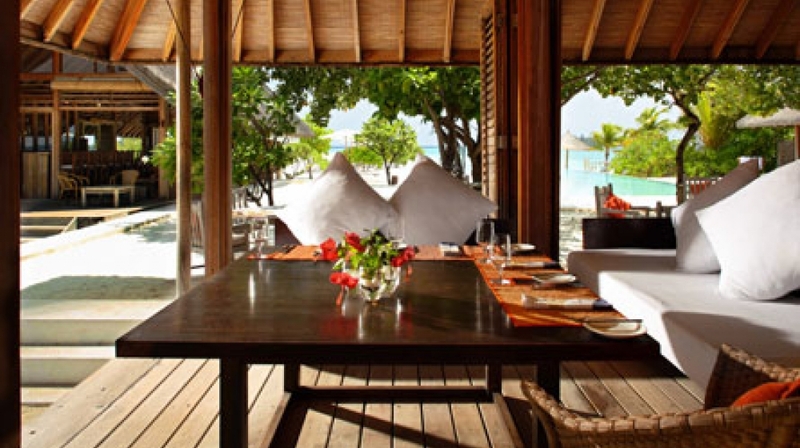 Loft Villa: Loft villas offer a spacious living area with full length windows overlooking the Indian ocean. The loft area is fitted with a king sized bed and en-suite WC. 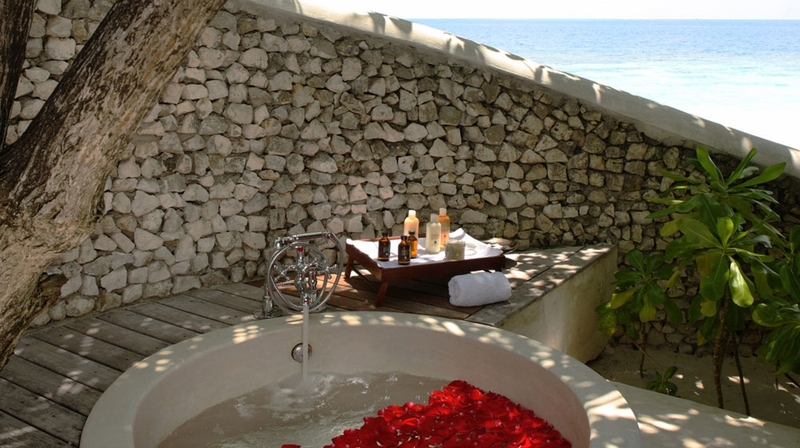 The main bathroom features a double vanity unit, separate bathtub, shower stall, WC and a secluded outdoor shower with steps into the sea. Loft villas also enjoy private sundecks. 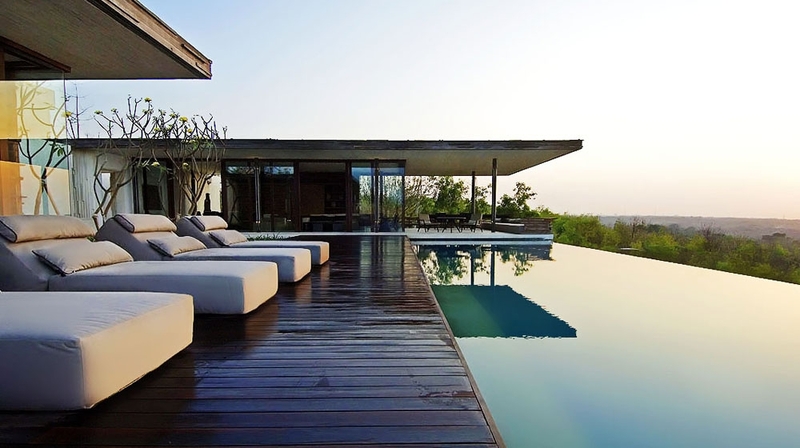 One Bedroom Villa: A private entrance deck leads into a calming space of simple elegance. The bedroom features a comfortable king-sized bed and an en-suite bathroom with double vanity unit, WC, island bath, separate walk in shower and an outdoor shower. The spacious living room leads to the private sundeck and bale with direct lagoon access. COMO Villa: Both the king size and twin bedded room have an en-suite bathroom with double vanity unit, WC, island bath, separate walk in shower, an outdoor shower and private sundeck. The spacious living room offers striking views of the turquoise lagoon through full length windows. A private bale, ideal for dining or relaxing, is reached via a walkway. Television, Safety deposit box, Direct line telephone. Air conditioning, Mini bar and DVD player. At Cocoa Island, you can choose to do very little. Some guests find their own stretch of beach; others prefer to relax in privacy on their suite's hidden terrace, or lounge beside the resort's main swimming pool � cobalt, melting into an empty horizon. Gardens, beach, pool, spa, steam room and hydrotherapy pool, gym, yoga pavillion, watersports centre, dive centre, library, boutique and free WiFi. If you want an active holiday, there is a water-sports centre with sea kayaks, catamaran, windsurf boards, a fully equipped PADI certified Dive Centre, a COMO Shambhala Retreat including several Treatment rooms, a Yoga Pavilion with a resident instructor, fully equipped gym, steam rooms and hydrotherapy pool. 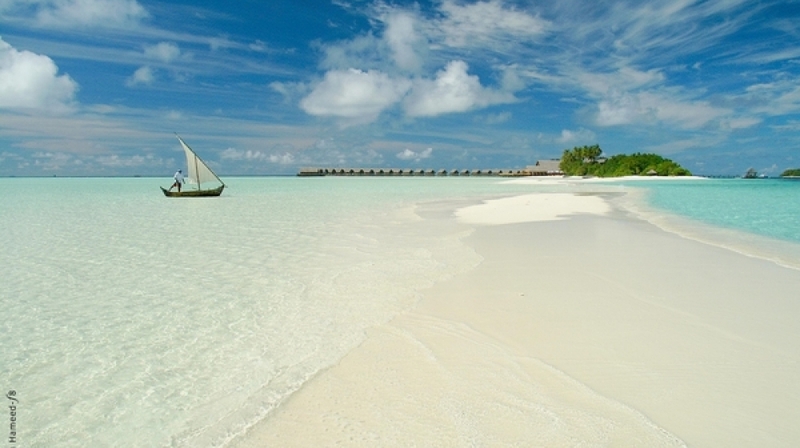 A stay at Cocoa Island is about discovering the essence of beach living � the power of quiet and nature. Although most of our guests come to Cocoa Island to relax in privacy, there are others who spend their time exploring the local region � both above and underwater. The diving is exceptional, with our own team available to teach beginners and challenge the experienced. You can also go deep-sea fishing, partake in watersports off the beach, like windsurfing or catamaran sailing. We offer beach drop-offs, dolphin and sunset cruises, a cookery lesson or guided snorkelling. 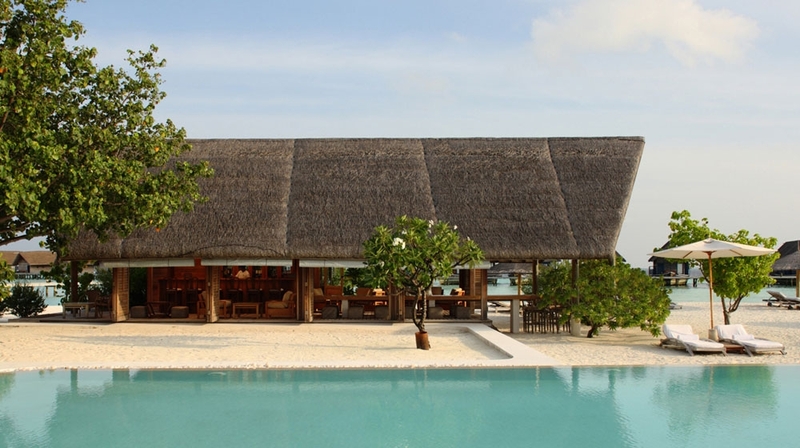 Ufaa, meaning happy in Maldivian, is a foot-in-the-sand space with covered and uncovered seating. 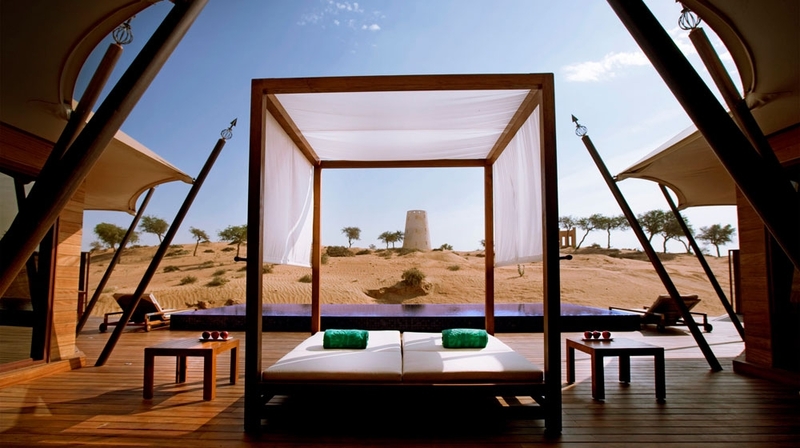 It flanks the resort�s infinity-edged pool, in natural wood and Kajan thatch, and is presided over by Australian chef, Anna Rossel. We serve breakfast, lunch and dinner with dishes showcasing the Malabar Coast�s rich gourmet heritage as well as modern interpretations of Southeast Asian cooking. The tandoor is employed to allow for fat-free, flavour-laden grilling of meats and fish. Dishes might include tuna tartare with pomegranate dressing, avocado, tomato and cucumber salad or whole masala spiced lobster cooked in the tandoor with lacha salad, lemon pickle and mint raita. We also offer healthy COMO Shambhala Cuisine. Our butlers can also serve a private dinner on your terrace, or in a silent space on the sands - lit by candlelight, under a simple tent, with the water lapping at your toes. Try and spot pods of dolphins. At Cocoa Island, we have a team of PADI instructors with in-depth knowledge of local waters, the coral reefs, wrecks and seasonal highlights. We provide the kit, including Scuba Pro BCDs and regulators with 11 litre tanks. Wetsuits are long-leg and short-arm. The resort also provides Gull and Mantis masks, Technisub fins and Aladdin Pro dive computers. The compressor is a Bauer V-20. 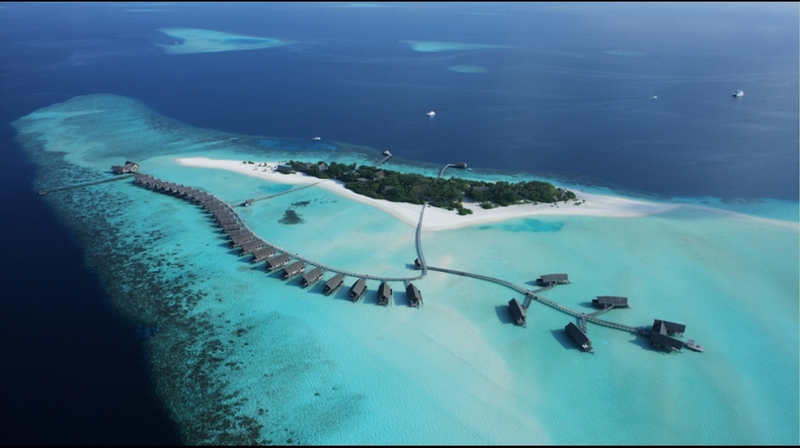 By Plane: The nearest airport is Male, 40 minutes away from the Island. The private island resort is found in the less developed South Male Atoll, a 40 minute speedboat ride from the international airport.